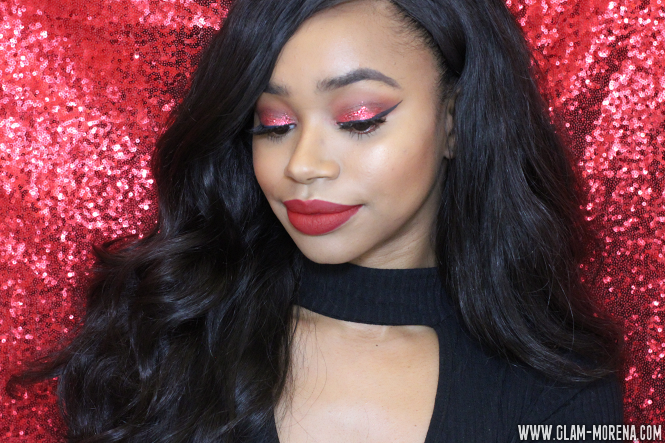 Glam Morena: Face Of The Day: Red Glitter + Red Lips. 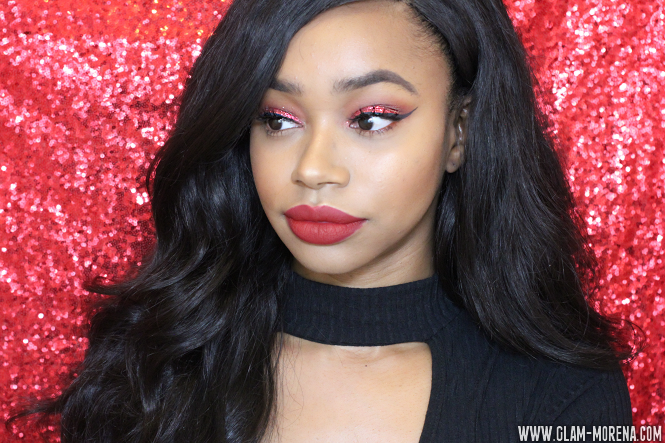 Face Of The Day: Red Glitter + Red Lips. I hope everyone enjoyed their holiday celebrations! 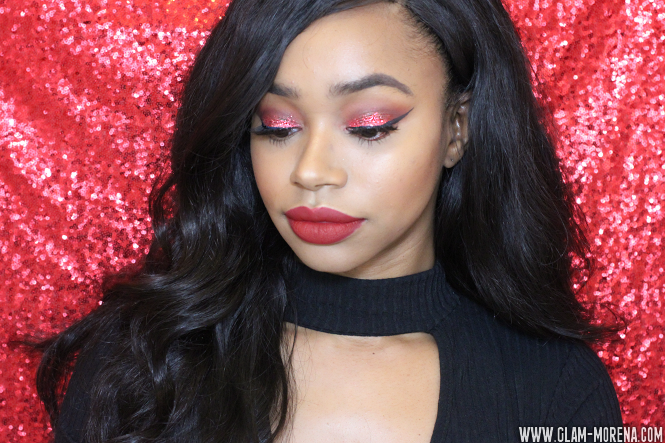 I really wanted to do a Christmas makeup look using the City Color Sparkle & Shine Loose Glitter in Tis the Season. It is a red glitter and it's so unique to my glitter collection. 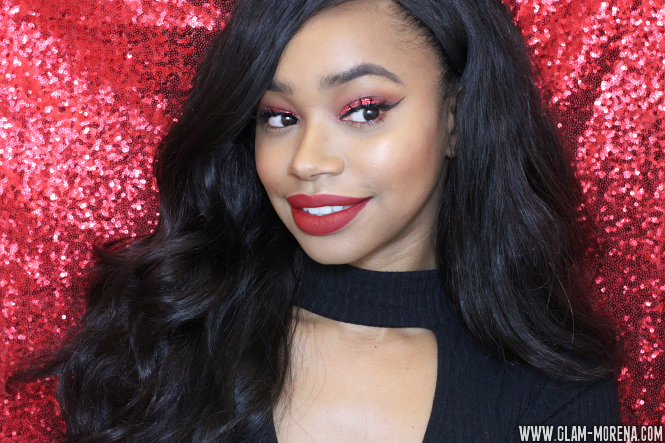 Don't forget you can use my code GlamMorena to save 10% off your entire purchase here. Be sure to keep scrolling for more photos and makeup details! 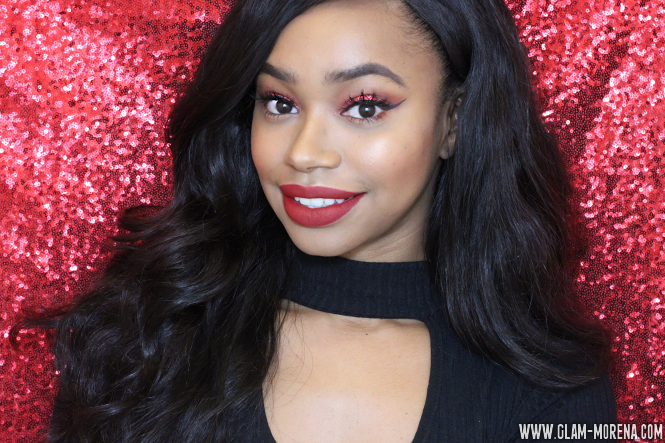 Be sure to watch the video to see how I achieved this holiday inspired makeup look!